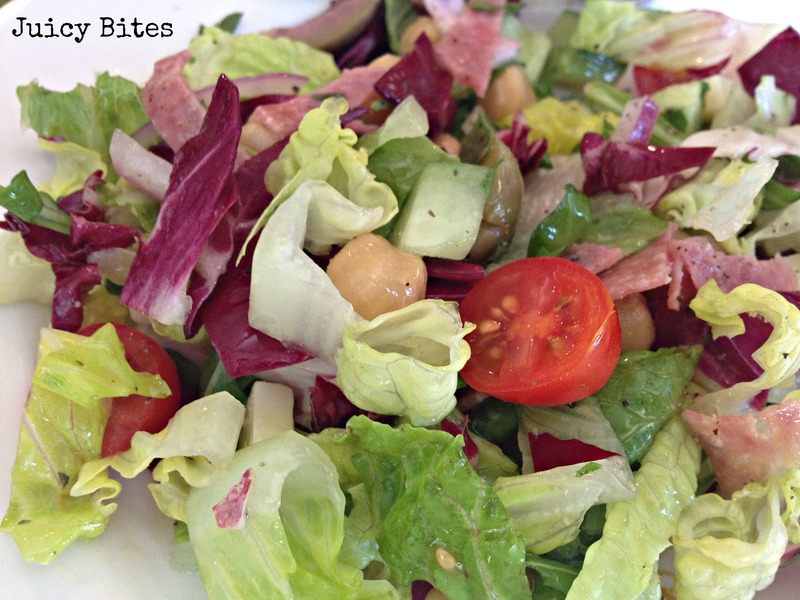 You can’t beat a simple & flavorful chopped salad! I feel like I dropped the ball a little on my summer salad posting. I had the best of intentions to make many and post them all, but sadly…time got away from me and we were busier than I thought we would be for most of the summer. 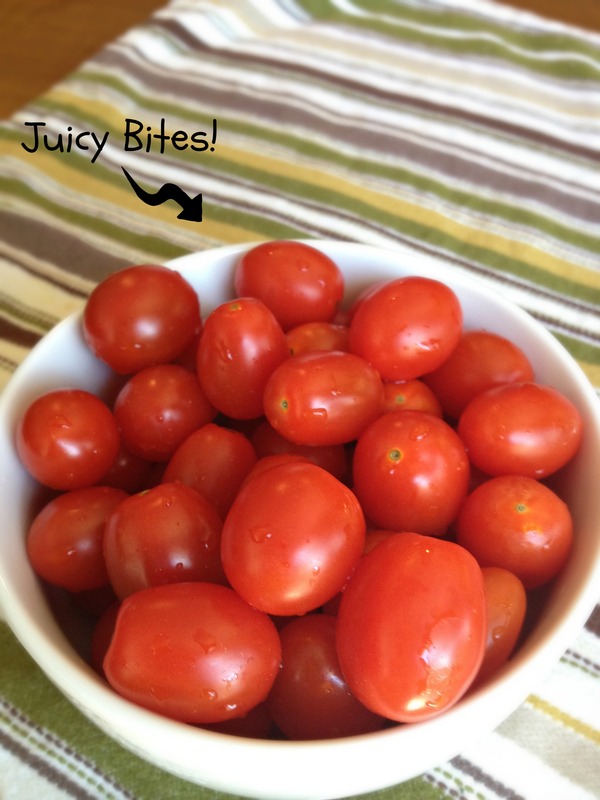 I have been working on a recipe index for Juicy Bites and I hope to have it done soon. Even though summer is winding down (my kids start school tomorrow! ), we still have plenty of warm weather here in Southern California. We spent last evening (the last official stay-up-late night of summer for my boys) at the park with some good friends, good wine, and yummy food. I brought this chopped salad that I was inspired to make when I saw it in my new Food & Wine Best of the Best volume 15 cookbook. 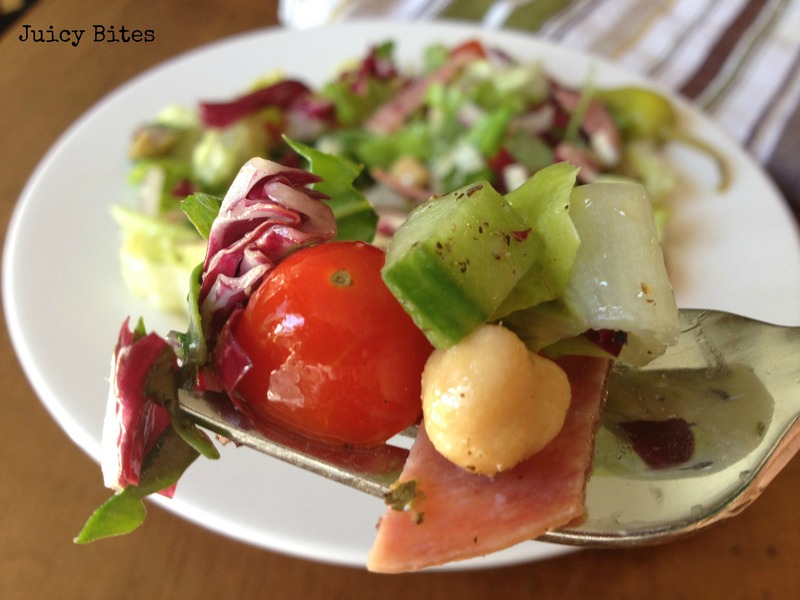 It is from Nancy Silverton and it is simple and delicious as a side salad or a main course with some crusty bread. My version has romain hearts for crunch, radicchio for color and flavor, and some arugula for that peppery bite that I love. I added cucumber for extra crunch and some green olives because I love them! I like the cucumber seeded for this salad. You simply cut it in half lengthwise and use a spoon to scoop out the seeds. 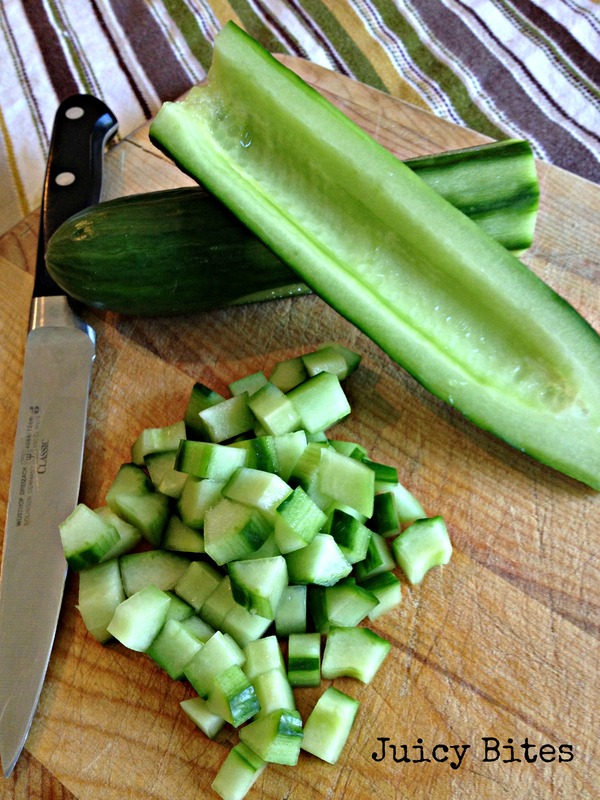 That way you get more crunch and less of the watery part of the cucumber. 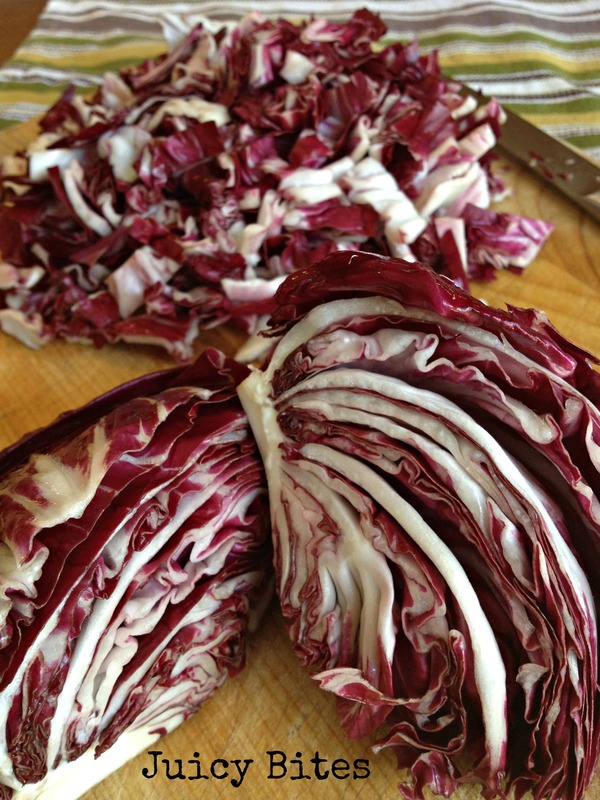 I love the flavor that radicchio brings to this salad. 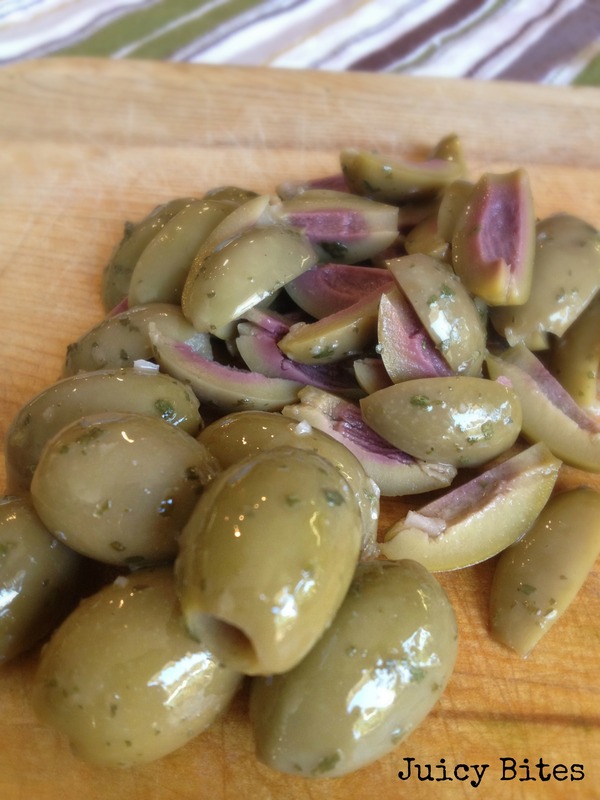 I like to buy pitted olives from the olive bar at my market. 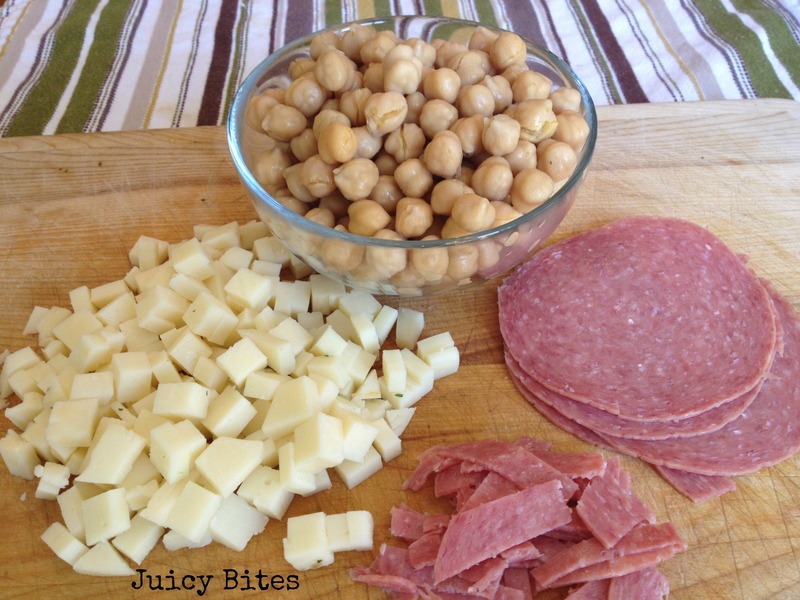 Good salami, sharp provolone, and garbanzo beans! Mix all of the ingredients except for the oil together. Let sit for a few minutes so the oregano can marinate and the salt can dissolve. Add the olive oil in a slow stream while whisking, or put in a mason jar and shake well to mix. Mix all of the ingredients together in a large bowl. Add the dressing and toss well to coat. If you wish to have left-overs (we did! ), just don’t dress it all, reserve some dressing, and refrigerate for up to one day. Makes a great left-over lunch! 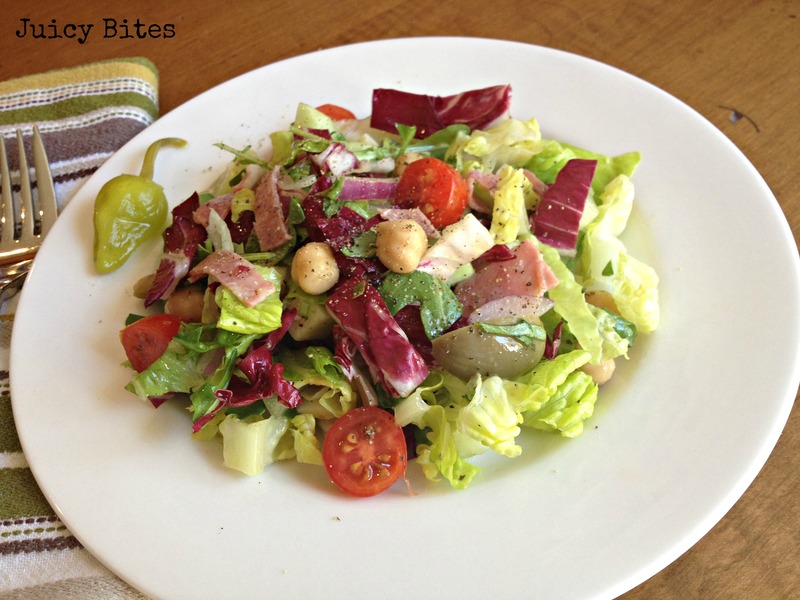 This salad was perfect for our hot, summery weeknight dinner! It was a hit with the whole family — even with my non-salad-eating 5-year old! Thanks! 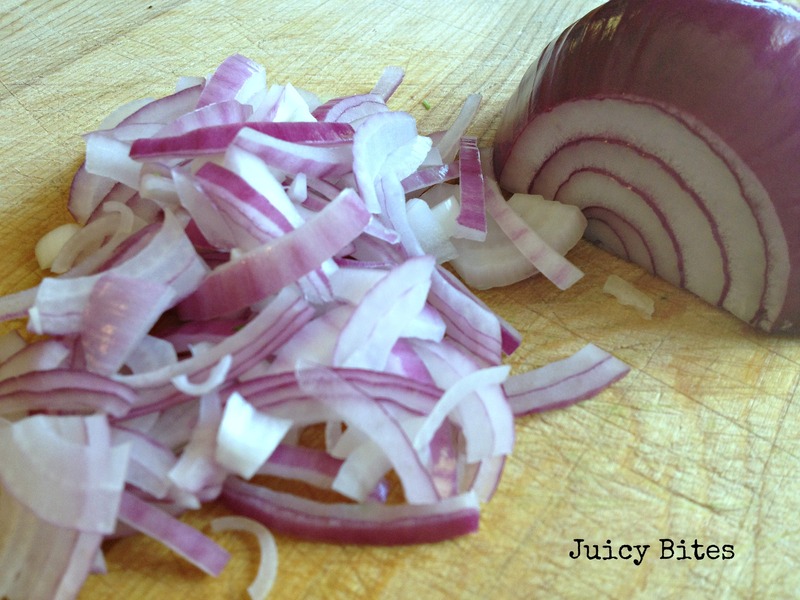 A new favorite salad recipe!! I made this last night for a party & it was devoured! 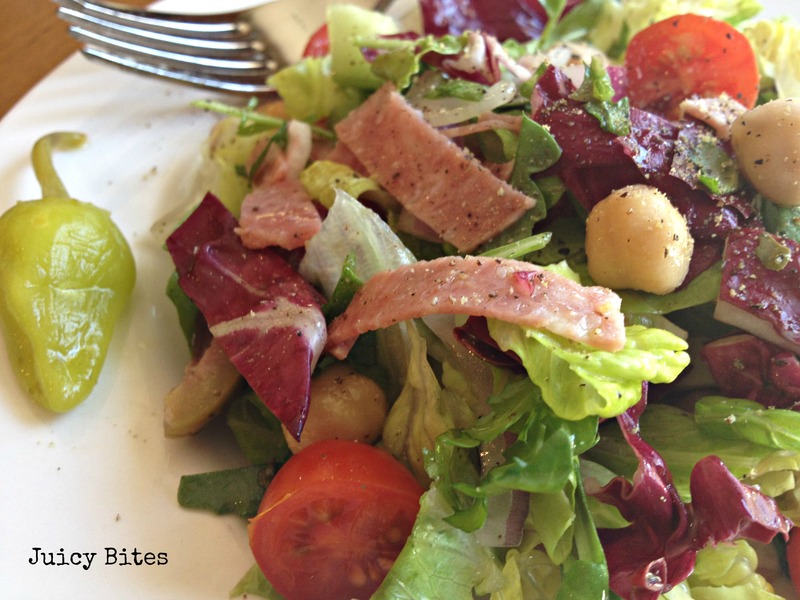 How can you go wrong with cheese, hard salami & yummy salad dressing! Looking forward to more fabulous recipes! !